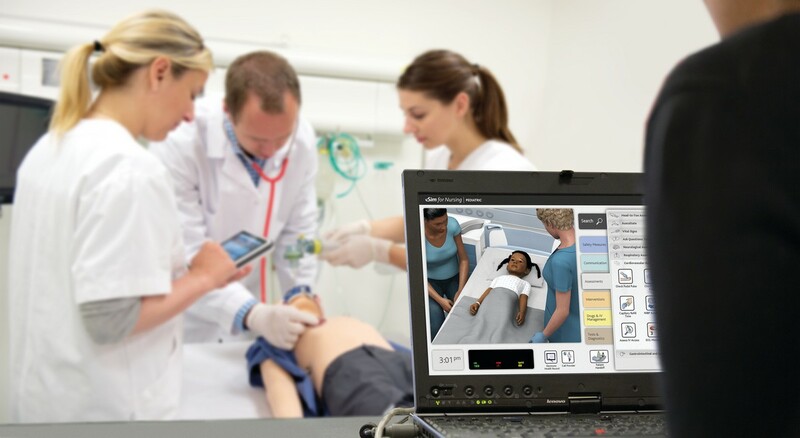 Adaptive, interactive virtual simulations with integrated curriculum resources and personalized feedback provide a full simulation learning experience for every student to promote confidence and competence in patient-centered care. Laerdal's self-directed learning programs are designed to provide the highest level of educational quality, clinical accuracy, and cost-effective delivery methods necessary to meet the educational goals of healthcare providers around the world. Nursing education scenarios, mapped to the NCLEX-RN Test Plan, enable students to practice a broad range of nursing skills. When using the complete solution, the program enables students to develop critical thinking and clinical decision-making skills by a step-by-step process in which they start out by building and testing their knowledge with reading assignments and pre-simulation quizzes.